Saint Louis University has approved a new lower tuition rate for first responders — including law enforcement officers, firefighters and emergency medical services personnel — who want to pursue bachelor’s degrees or certificates in its School for Professional Studies. “At Saint Louis University, we recognize that first responders continuously go above and beyond in their day-to-day lives, and we are proud to recognize their service to our community as part of our Jesuit mission,” said University President Fred P. Pestello, Ph.D. The reduced rate — $400 per credit hour for undergraduate courses in the school — goes into effect for the fall 2015 term, which begins Aug. 17. The special rate will be available to both new and returning professional studies students. The move to lower tuition for first responders follows a decision last fall to offer the same reduced rate for active military members and veterans of the U.S. Armed Forces using tuition assistance or GI Bill Benefits. In addition to the lower cost of attendance, the University plans to award several new scholarships to first responders who qualify for the reduced tuition — thus making a SLU degree even more affordable. “In making this institutional commitment to first responders, we are giving even more of these dedicated professionals the opportunity to pursue a high-quality Jesuit education in a flexible and convenient online format that meets their needs,” said Beth Winfrey Freeburg, Ph.D., dean of the School for Professional Studies. Designed with busy adult students in mind, more than 20 of the school’s degree programs are fully online. Attractive programs for first responders may include security and strategic intelligence, computer information systems, and organizational leadership. First responders can begin submitting their applications for admission immediately to be considered for scholarships and reduced tuition. For more information, visit busyadults.slu.edu or call 314-977-2330. 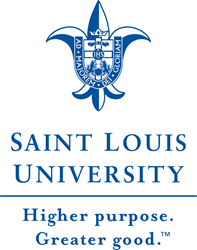 Also known as “SLU for Busy Adults,” the School for Professional Studies offers globally accessible, academic, professional, and continuing education programs for adult learners and working students in Saint Louis University’s Jesuit tradition of excellence. The school’s faculty and staff promote a student-centered, innovative and enterprising environment built on a foundation of integrity, accountability and collaboration. EDITOR’S NOTE: For media inquiries or to arrange interviews, contact Jeanette Grider in University Communications at 314-977-2538 or jgrider1(at)slu(dot)edu.